With school starting in our area this week, I felt it was the perfect week to share with you this adorable story about two friends on the first day back to school. Ellie the elephant and her best friend, Pudgy the penguin, are starting back to school. They are both a little nervous, but Ellie especially because she is attending a new school. Ellie and Pudgy are actual stuffed animals that are photographed going through their first day of school. The authors have thought of everything from library time to gym time to class pets, lunch, and recess. This is likely because one of the authors is an eleven-year-old girl. Nothing in the school day was left out and their feelings about being nervous and scared are spot on. Children will find their days are much like Pudgy and Ellie’s. Readers will delight in seeing Ellie and Pudgy in actual classroom and school settings. They will find the photos silly as well as reassuring. Ellie and Pudgy model good behavior, sharing and introducing themselves to new friends. They also show how to be there for a friend and how to encourage one another. While at recess we Ellie and Pudgy find a friend sitting along on the Buddy Bench. These benches are decorated in fun sayings and bright colors and are placed in playgrounds to encourage friendship and send the message that bullying is not allowed here. This is a book I’ll be keeping in my school bag to read to the elementary students when I am subbing. It has adorable photographs, a cute story and shares a valuable lesson about friendship. 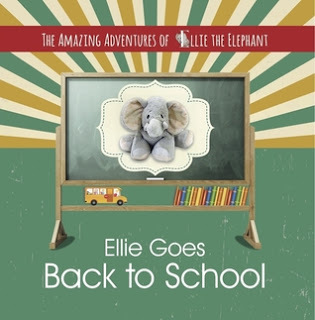 I also want to check out Ellie’s other adventures, ELLIE MAKES A NEW FRIEND, and ELLIE’S FIRST PLANE RIDE. A portion of the sale of every book goes toward helping children in need. Filled with over 70 quotes from her children, over 100 real-life practical tips to help working moms and the wisdom of over 80 other wonderful working moms, Marci’s goal with TILT is to encourage moms to continue to reach for their goals and dreams, as they help their children reach for theirs. Marci Fair earned a bachelor’s degree in marketing from Southern Methodist University. 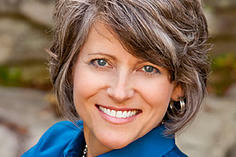 Together, she and her husband founded a real estate business that is ranked in the top 100 in the United States. In addition, Marci founded a children’s charity Kares 4 Kids, that has served over fifteen thousand kids. Marci and her daughter, Elle have coauthored a series of books about Elle’s two favorite stuffed animals, Ellie the Elephant and Pudgy the Penguin. Elle loves reading and her stuffed animals so collaborating on these books has been a special project for them together. Both of their previous books have won the God Mom’s Choice Award. Author’s Books on Amazon, HERE. 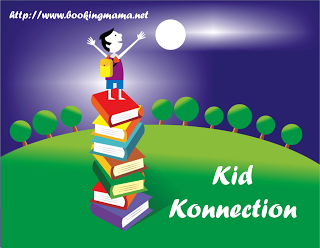 I will be linking up with Booking Mama and other bloggers for her Saturday feature, Kid Konnection. Click HERE to see other great children’s and YA book related posts. Thanks to the authors for sending me a copy of this book for the purpose of this review. This review is my honest opinion. I was not compensated in any way for this review. If you choose to purchase the book through the above link, I may receive a small commission without you having to pay a cent more for your purchase. Thanks for supporting SincerelyStacie.com. So many kids have to change schools these days and this book would be perfect for them.